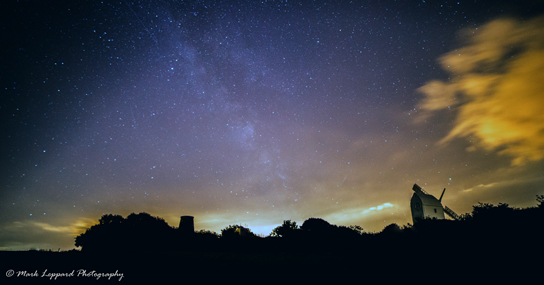 After spending many a night photographing the moon, in all of its phases, I wanted a new project to focus on… One night I was up at Jack & Jill Windmill / Southdown’s National Park photographing the Jill Mill with the stars in the back ground, when on one of the photos I noticed more than just stars… this got me thinking, can I photograph the Milky Way??? The image to the right was taken using the following kit: Canon EOS 60D, EF-S 17-55mm f/2.8, Cable release and a Manfrotto Tripod. 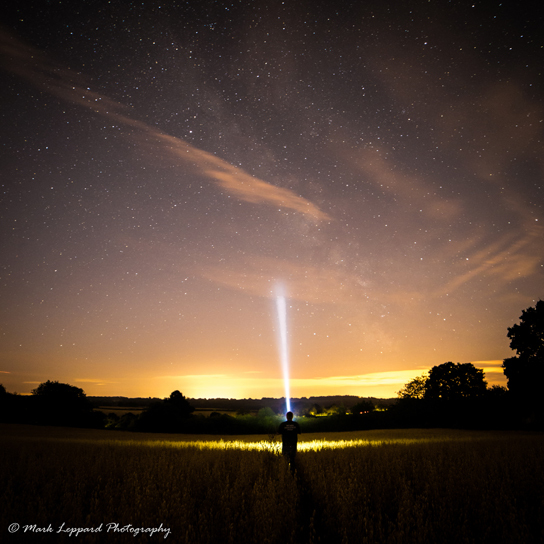 My latest images have been taken with Canon EOS 6D, Samyang 14mm f/2.8, cable release and a Manfrotto Tripod. For example; let’s say you’re taking a shot with a 24mm lens on a full frame camera. 500 / 24 = 21 seconds, which you can round to 20 seconds. Shutter speed = 30 seconds: Most of my night photography is shot using a 30 second shutter speed (you will need a tripod to keep the camera rock solid). Using the 500 rule, you will be able to confirm the correct shutter speed for the lens that you are going to use. If your shutter speed is too long, this will result in star trails and this is a whole new project…! Aperture = f/2.8: We often get tricked into thinking that you need a high aperture due to the stars being far away, but remember that depth-of-field is down to how much of the picture is sharp, not where the sharpness appears. 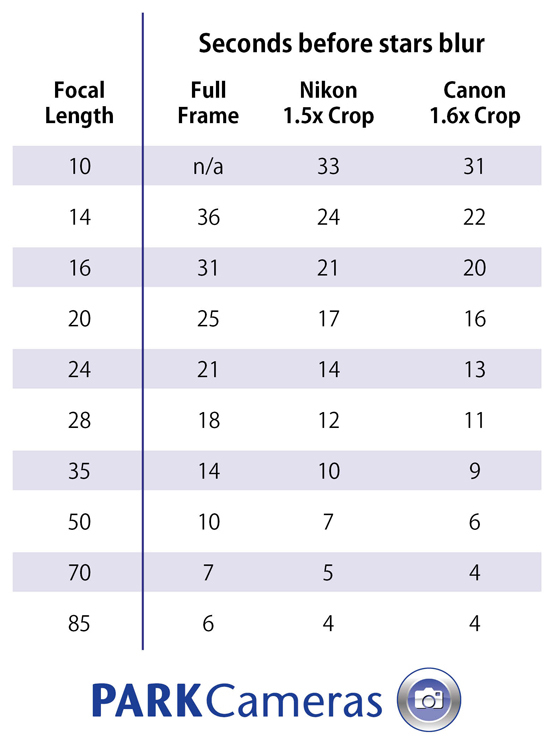 The correct aperture is the lowest f-stop you have available on your lens. 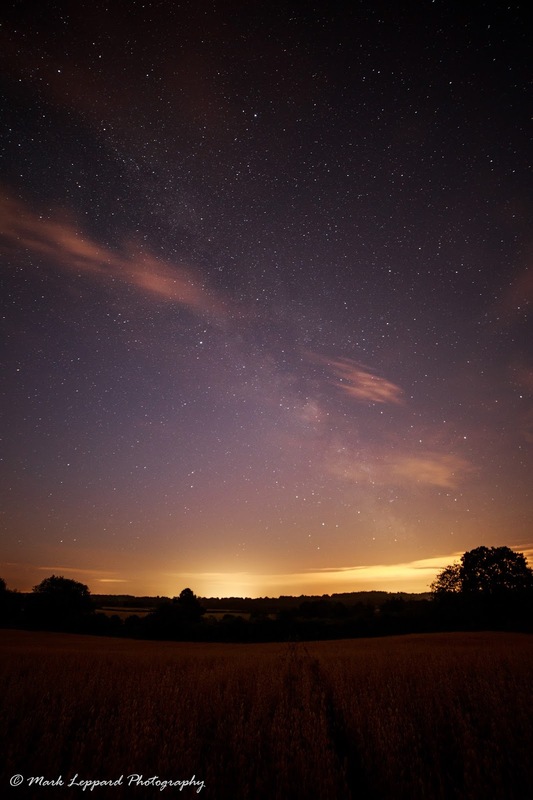 By focusing on the stars you are focusing in infinity, so you can use a low f-stop to capture the dim star light. ISO = 3200: In daylight situations, you’d normally like to keep the ISO as low as possible to prevent the photos becoming too grainy. However, night photography requires high ISO values. If you have a camera manufactured in the last few years, it will likely allow you choose an ISO as high as 3200 or even higher. For example, I have taken images at night up to ISO 6400 on my EOS 6D. At ISO 3200 there is defiantly some noise, which is unavoidable with current technology. One option to reduce noise is to enable your cameras Long Exposure Noise Reduction system, available of most DLSR’s manufactured in the last few years. This feature uses technology called dark frame subtraction. By using a cable release, you’ll reduce the effect of your images coming out blurred due to camera shake. You could also use the cameras build in timer. 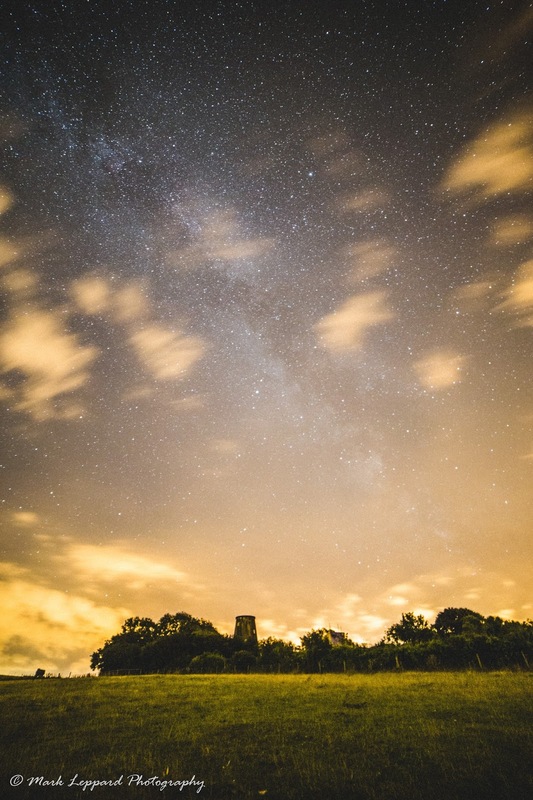 Taking photos of the stars, you don’t have to worry about focusing on anything in the foreground, Set your lens to manual and rotate your focus to infinity. Most people will never see the Milky Way with their naked eye. 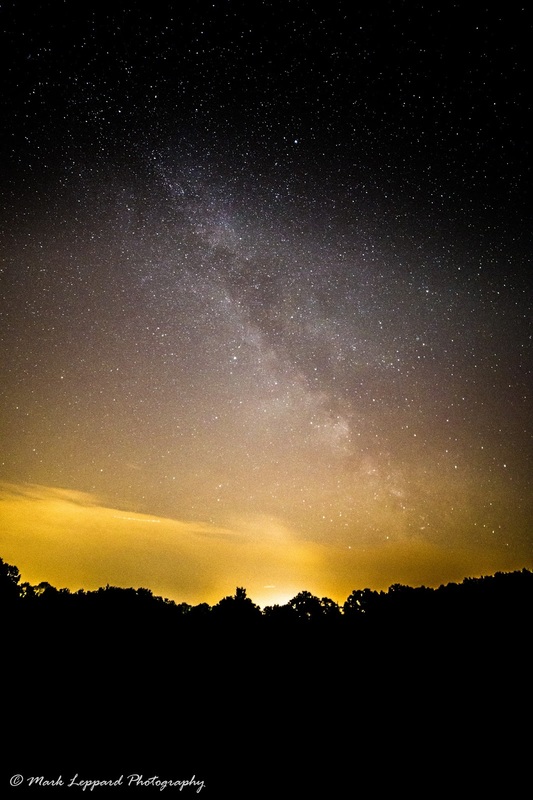 Light pollution is our biggest issue; streetlights are too bright for our eyes to see the faint glow of the Milky Way. 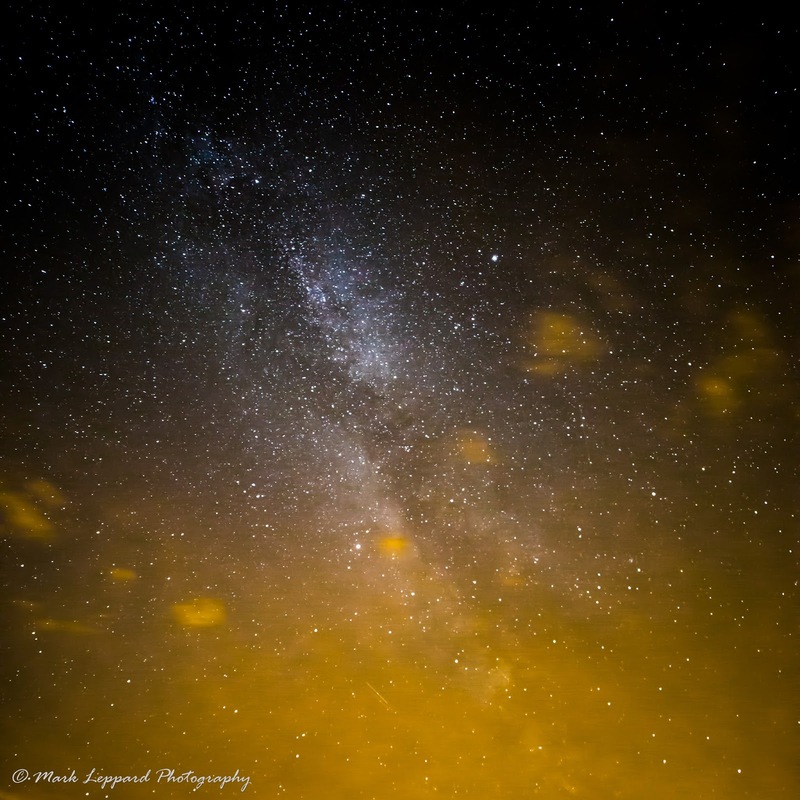 However, by using the amazing light gathering ability of modern DSLRs, the Milky Way can usually be captured. A great place to start is to find the darkest possible place near you, around the time of the new moon. 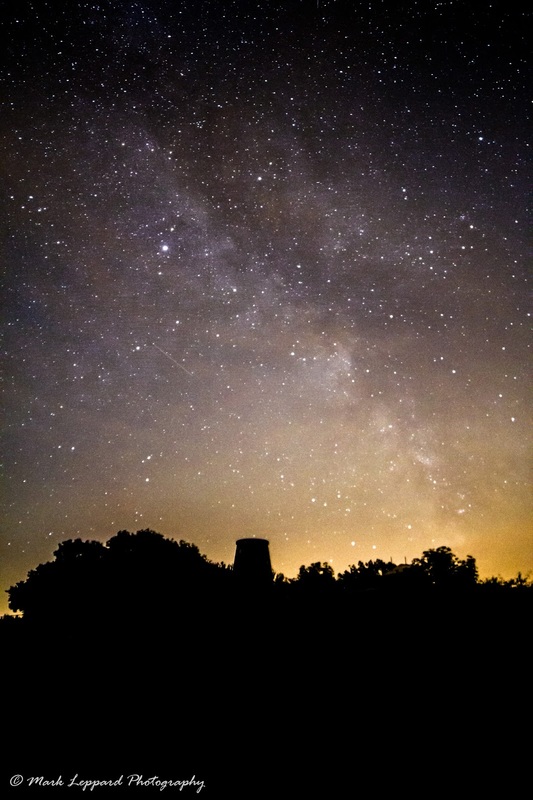 Point your camera to the southern horizon during July/August and there you should fine the Milky Way... You will need to tweak your composure to fill your frame with the Milky Way. I have found some free software called Stellarium that shows you everything in the sky and at what time. It’s invaluable…. Photos don’t happen by accident. It takes a lot of practise and planning to take photos of the Milky Way, but the payoff is massive! If you have any questions about how to photograph the Milky Way, please write in the comments box below and we’ll do our best to answer them for you.